April! In my corner of the world, it's the month of flowers, showers and, hopefully, warm temperatures. After a long, cold winter I'm more than ready to relax on the patio while soaking up warm sunshine and a great new book. And with the days growing longer that means more time for doing both with each day that dawns. For our friends down under, the days are growing shorter and the temperatures, cooler. Not to worry though. Snuggle up with a warm beverage and your favorite cozy blanket while you lose yourself in any of the many fabulous romances on the horizon. It's a win-win for all! Andrea kicks things off with her New Releases on Friday, April 3. Mark your calendars. There are some fantastic books out this month and you won't want to miss a one! Long-time Dish friend, Maggie Robinson returns Tuesday, April 7. Maggie has an upcoming anthology of newly published novellas and short stories ready for your reading pleasure. (I've read three so far and they're delicious!) Be sure to check out Just One Taste. Thursday, April 16 brings military romance author Heather Ashby back for a visit. 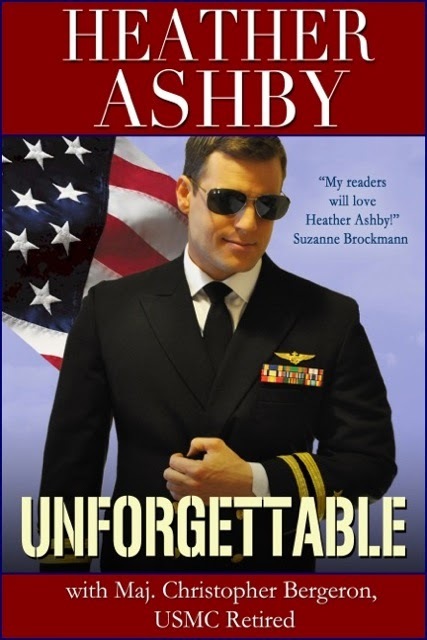 Heather's new book, Unforgettable, co-authored with Major Christopher Bergeron, USMC (retired) brings us the story of a woman who joins the Marines to escape her childhood and the Navy pilot who loves her. Sign me up! 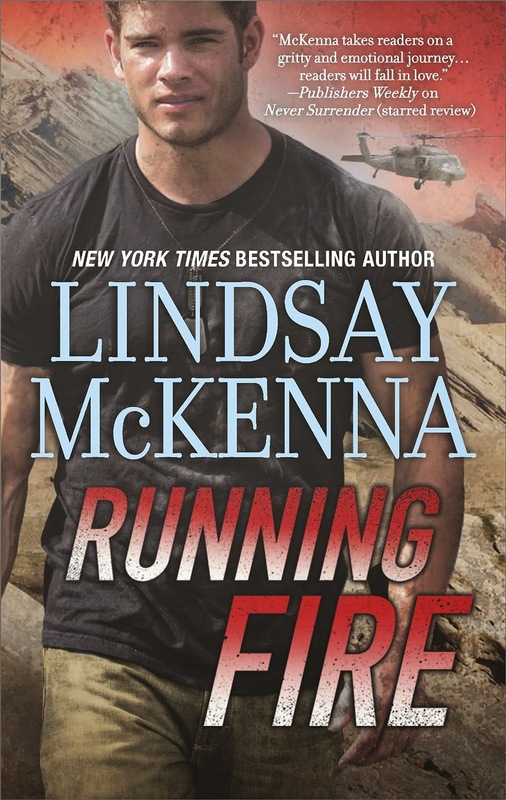 Lindsay McKenna joins us Monday, April 27 as part of her Running Fire blog tour. I've been a fan of McKenna's military romances for years and am excited to share her new book with all of our Dish readers. We're happy to welcome Maria Geraci back on Tuesday, April 28. 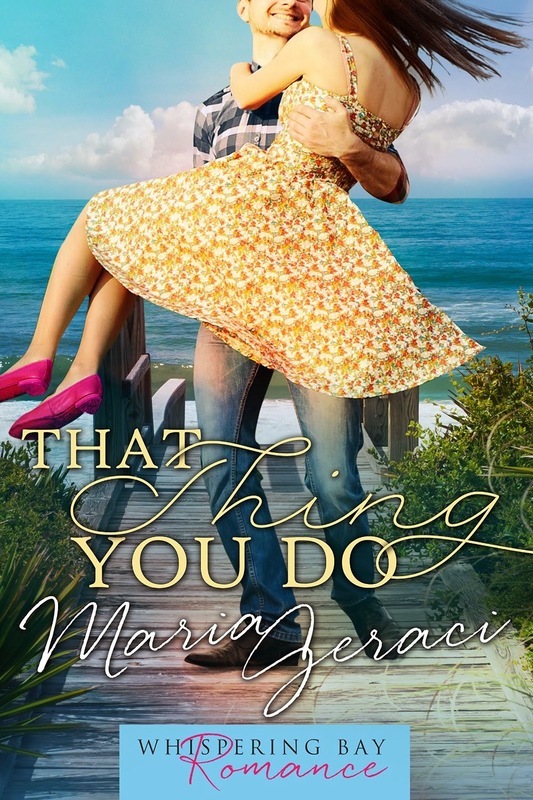 Maria kicks off a brand new series with the April release of That Thing You Do. Don't you love that cover? I do! Have you been missing Anna Campbell as much as we have? Not to worry! She'll be back for a Dish visit on Wednesday, April 29 to celebrate the release of the fourth book in her wonderful Sons of Sin series, A Scoundrel by Moonlight. We're very excited, for both the visit and the book! I look forward to another awesome April with the Dishes. I'm especially delighted to see that my friend Maggie Robinson and our dear and sorely missed Anna Campbell will be visiting TRD soon. I am looking forward to His First and Last by Terri Osburn and The Duke's Disaster by Grace Burrowes. I also am looking forward to working in my garden as it gets warmer. Anna Campbell and Lindsey McKenna most definitely! Seduced by Sunday by Catherine Bybee, Chasing Danger by Katie Reus, the Quantum Trilogy by Marie Force. April is my birthday month & my wish list just grew beautifully thank you. A Scoundrel by Moonlight tops the list. April is a time to get out and dig in my flower garden. It needs help this year and I hope I have time to get it done. I will be going North to visit family, a two day drive. I always look forward to the trip, but this year I have a younger brother who is seriously ill. I have a sister who I will be picking up the first day of the drive. She has an April birthday that we will probably celebrate early. I will be busy finishing plans for our vacation in May and June. I look forward to getting away from all the chaos and having time alone with my husband. Will be looking forward to the visits by two of my favorite authors, Anna Campbell and Lindsay McKenna. I hope to meet Lindsay McKenna at the RT Booklovers Convention in Dallas, the first leg of our trip. Will be celebrating many birthdays with family during April. Always ready for books by Anna Campbell and Maggie Robinson . First and foremost I want to read The Duke's Disaster by Grace Burrowes.